Ecommerce businesses can be founded by massive corporations or by families working out of a garage. It provides a relatively level field for everyone to compete. And, like so many businesses, ecommerce operations often find unique ways to succeed. 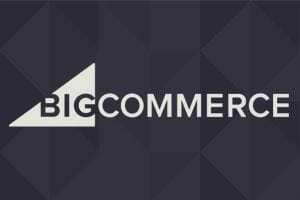 This article’s purpose is to help ecommerce entrepreneurs find success more easily by warning about six common ecommerce mistakes that may hurt a fledgling business. This list is based on my own experience, and is by no means definitive. Nonetheless, at least being aware of these potential problems may help you and your business. In my opinion, customer service can be an ecommerce company’s single best product. Online customers have dozens — if not hundreds — of stores to choose from when making a purchase. Those stores that provide the best customer experience before, during, and after the sale will win customer loyalty. 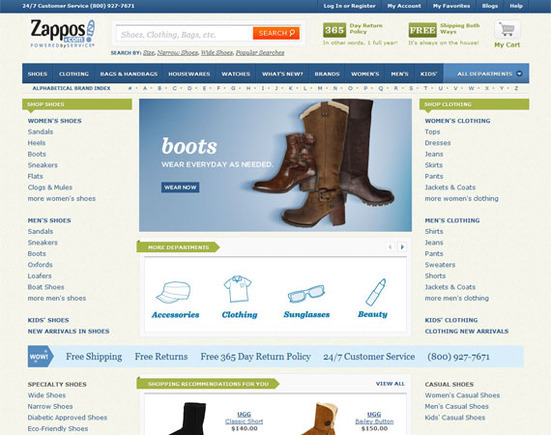 Zappos is, perhaps, the single best example of what happens to an ecommerce business when it makes outstanding customer service a priority. 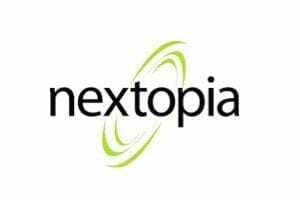 The company has gone from startup to more than $1 billion in annual sales in 11 years using a simple mantra: provide outstanding customer service. Don’t let your ecommerce business make the mistake of providing bad customer service. Be responsive to questions and concerns, and occasionally surprise customers with free shipping upgrades or other unexpected benefits. Also try to engage customers with informative or entertaining site content before they buy. Zappos has a reputation for outstanding customer service. Be like Zappos. You do not necessarily have to have the lowest prices to earn sales. Be willing to be a market leader. Focus on things like providing outstanding customer service instead of slashing prices. If your prices are reasonable and your business provides a better purchasing experience, customers won’t quibble over a buck or two. As an example, Zappos, which I described above, was selling a Dansko Stefanie shoe for $125 at the time this article was written. I was able to locate more than a dozen other stores selling the identical shoes for less. 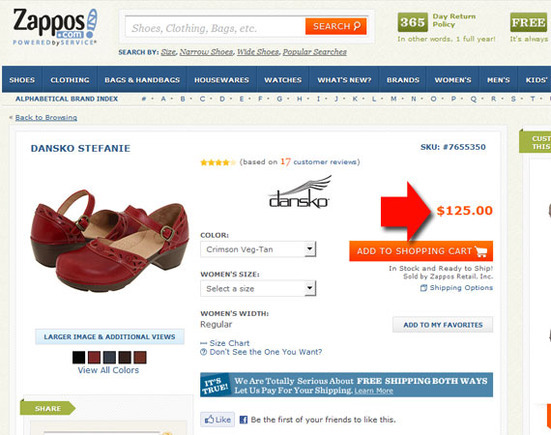 Zappos sells the Dansko Stefanie for $125. 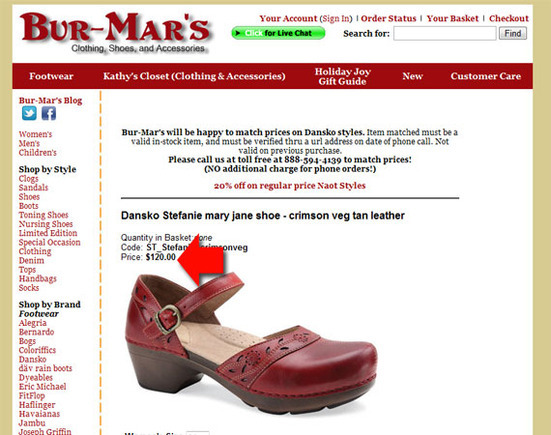 Bur-Mar’s sells the Dansko Stefanie for $120. 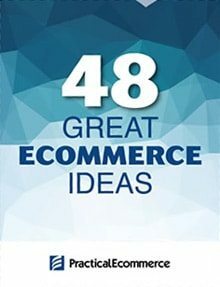 Don’t let your ecommerce business make the mistake of focusing only on prices. Customers buy for many reasons. Price is just one. Remember ecommerce is about selling things online. You’re not going to encourage consumers to make a purchase if all you provide them with is a thumbnail size photo of the product. Rather, go large and go professional. 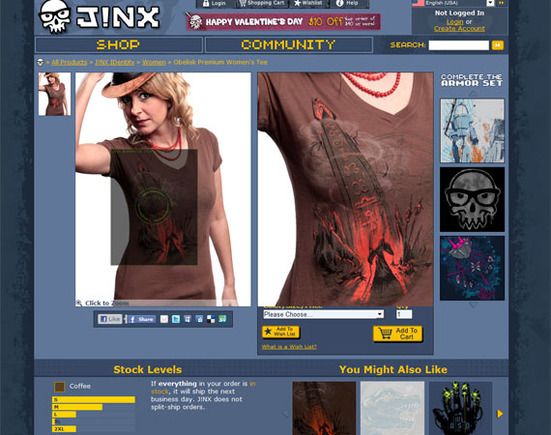 As a positive example, Jinx, a hip purveyor of gaming-and-geek-themed T-shirts, uses relatively large images, and often allows those images to be zoomed for even more product detail. Jinx uses large, zoomable images to show off its products. Don’t let your ecommerce business fail for lack of photography, include big beautiful images for every product detail page. While a picture is worth a thousand words, some products do require detailed product descriptions, too. Items that are common — say a T-shirt — will probably be fine with just a couple of bullet points about the material or printing technique, but it never hurts to say a little about how great the product is. More complicated or less common products absolutely deserve a well-written explanation. 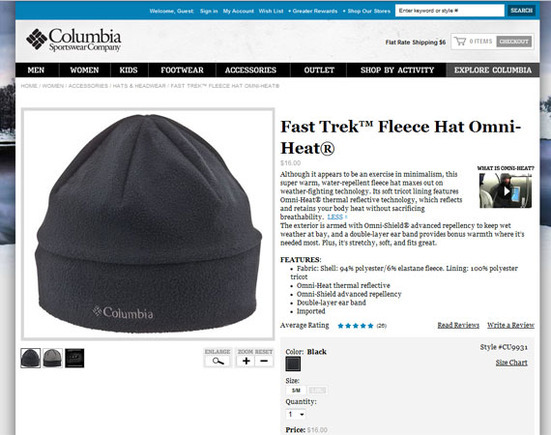 Columbia Sportswear Company uses two paragraphs (73 words) plus five bullet points to describe a fleece hat. Columbia Sportswear Company is willing to invest in product descriptions. Another example of a well-done product description comes from Husqvarna, an outdoor equipment maker. Husqvarna provides a prose description for each of its products, plus a detailed specification with more than 20 specific entries. 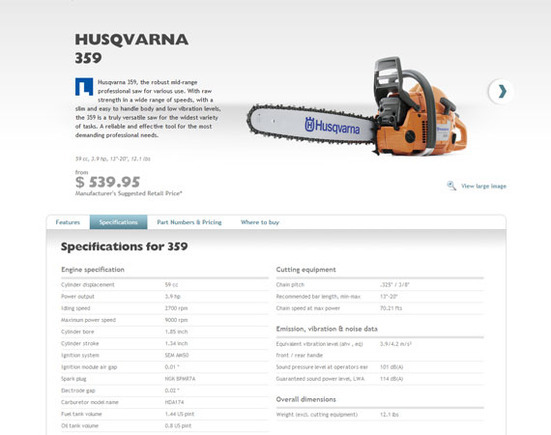 Husqvarna goes out of its way to provide detailed product descriptions. Don’t let your ecommerce business make the mistake of not telling customers about the product. Always provide a well-written and sufficiently detailed product description. Many researchers and experts believe that customer-generated product reviews are among the best form of product promotion. 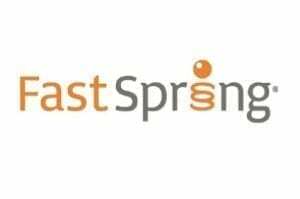 So no wise ecommerce business should miss the opportunity to let customers promote products or services via reviews. 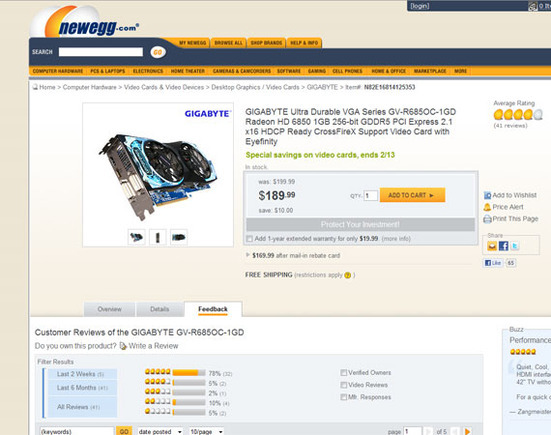 Newegg devotes a tab to customer generated product reviews on nearly every product detail page. In many cases, Newegg gets fifty or more reviews for each product. Newegg does a good job of promoting customer created product reviews. 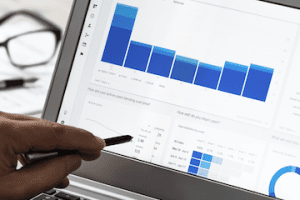 Don’t let your ecommerce business miss out on the power of product reviews. Include product reviews for every product. 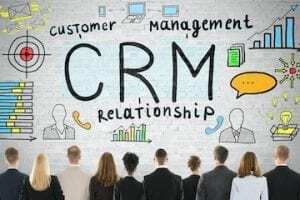 Customers trust them, and you should trust customers to write them. 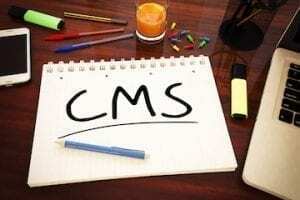 Your store’s blog should be the central hub for all of your marketing. If you are posting videos on YouTube, blog about them. 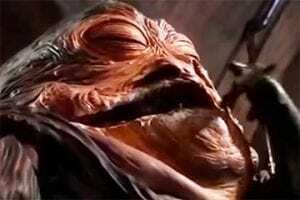 If you have a contest running on Facebook, blog about it. It you post product updates on Twitter, link them back to the blog. If you bring in new products, blog about it. If you are thinking of bringing in new products, preview them on your blog. 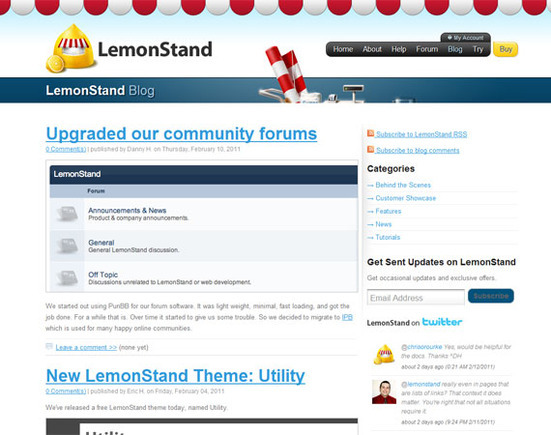 LemonStand uses its blog to describe new product features, praise its customers, and get feedback from customers. 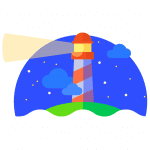 LemonStand’s blog serves as the center of the company’s marketing and customer interaction. REI’s blog provides product previews, human-interest stories, and first-person descriptions of outdoors adventure. 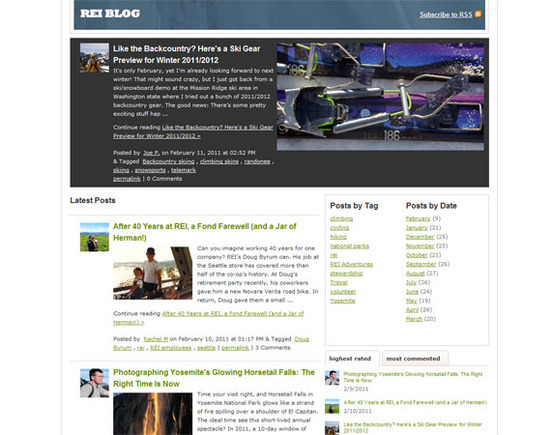 REI engages customers with excellent blog content. There is no surefire recipe for ecommerce success, but I believe avoiding the mistakes described here will help.